Did you Realise a White Man was Standing in this Photo? In the last week acclaimed Italian writer Riccardo Gazzaniga shared his feelings about a photograph that we will all know and recognise in a Facebook post. Phogotraphy reached out to Riccardo who has kindly allowed us to share his words. The Paradox of Dylan Roof and Gold’s Gym. A black figure stands almost naked, flexed muscles holding a bar of weights signifying strength. 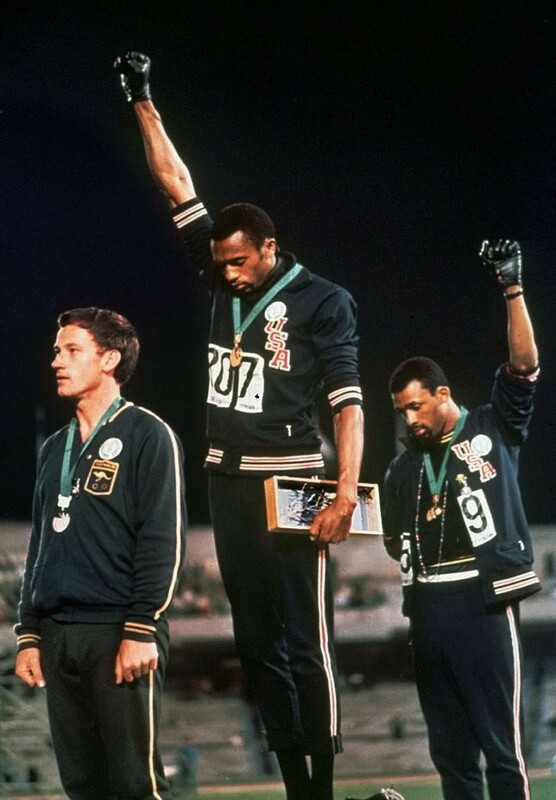 This could easily be interpreted as a nuanced reference to the symbolic black power salute that emerged from the 1968 Olympics after Tommie Smith and John Carlos received podium medals. The image is unanimously considered as terrifying, not because it’s a symbol of strength against oppression, but the chest it is emblazoned on is that of 21 year old North Carolina racist recluse Dylan Roof who went on to commit an act of terrorism in a church filled with people of colour.